2. 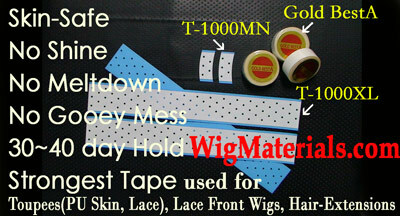 White Tape-STRIP (ST) 1" X 3"
Applied onto the base of Hair replacement units for Permanent Bonding System lasting about 4 weeks. This Red Liner Tape works with our Permanent Boning Glue ( U8M and G100). 1.Red ROLL 3/4" X 108"
3. Red Tape-STRIP(ST) 1" X 3"
1a. 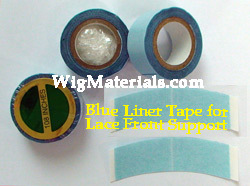 Blue ROLL 3/4" X 108"
1b. Blue ROLL 1" x 108"
2. 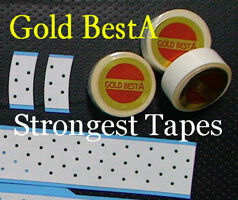 Blue Tape-STRIP (ST) 1" X 3"
formula used extensively in the medial industry. 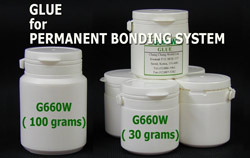 - can be applied onto wounded skin without pain. Copyright ⓒ since 1998 by JohnKorea® Ltd. All rights reserved.